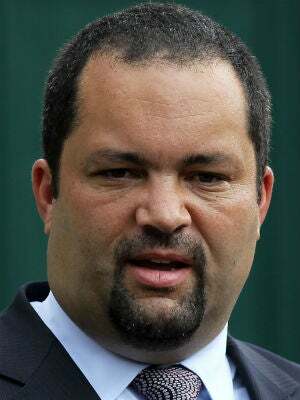 Bridging the gap between LGBT (lesbian, gay, bisexual and transgender) and civil rights organizations was the overarching motif as NAACP President and CEO Ben Jealous helped kick off the National Gay and Lesbian Task Force's Creating Change, the 24th National Conference on LGBT Equality, in Baltimore Thursday night. "Unfortunately, the national media tends to exaggerate divisions between civil rights and LGBT institutions," Jealous said to conference attendees during his keynote address at the Hilton Baltimore. "But more damaging than the media's failure to recognize our common struggles is our own failure to come together on issues of common interest." In July 2009 the NAACP introduced its own LGBT Equality Task Force, in conjunction with the National Black Justice Coalition. And last year the organization hosted its first LGBT town hall, featuring prominent black LGBT figures such as comedian Wanda Sykes and CNN anchor Don Lemon. "We had a challenging but constructive conversation about gay, lesbian and transgender issues in the black community," Jealous said about the town hall. But melding the movements under the common cause of justice and equality may be more work than meets the eye. Many LGBT advocates face obstacles in attempting to address issues concerning LGBT people of color. "We get way more concerning comments from people when we go to the edge of talking more squarely and directly about issues that people of color specifically are facing," Darlene Nipper, the Task Force's deputy executive director, told The Root. "Being black in America remains such an intensely central part of my identity," she said. "No matter what work I look at, I'm always looking at it through this lens." Ultimately, unity is crucial to the success of both movements, argued Jealous. "History has taught us that we can never win the battle for justice, equality and freedom when our soldiers are defined and limited by our individual silos," Jealous said. "We can only emerge victorious when we unite for the common good of all."